Sydney Shop Girl: Chocolate Coffee. Christmas Lights. 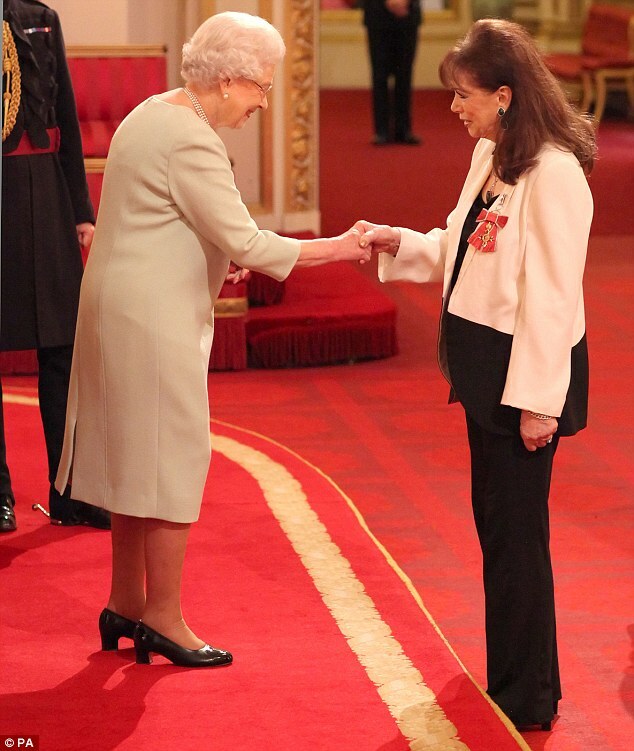 An OBE Recipient. Chocolate Coffee. Christmas Lights. An OBE Recipient. Every so often, my Facebook feed brings up a sponsored post that I'm actually quite happy to find. In between the passive aggressive suggestions on how to lose belly fat fast and the invitations to lose 20 years from my face and be mistaken for my daughter, that is. Moccona recently ran a campaign inviting you to write them a 'confession' of some sort in exchange for a sachet of their Hint of Chocolate instant coffee. I confessed to replacing the contents of the linen cupboard with thousand count cotton sheets. Moccona were true to their word and my sample arrived in the post this week. Hint of Chocolate is now officially my favourite from the range. It's not as sweet as caramel and has more flavour than hazelnut or vanilla. When brewed, it makes a cup of coffee that smells like chocolate truffles. From the strength of the chocolate aroma, I was anticipating a taste like hot chocolate but it's actually a pleasing balance of chocolate and coffee. Not as rich as mochas can be. A good everyday chocolate and coffee hit, in my opinion. My co-workers and I are on a mission to get our office as festive as we can this week. With Christmas only three weeks away, we're hoping to make the most of the chance to work away under a canopy of lights, tinsel, baubles and Santas. I kicked things off today with my star lights from Ikea. I bought them a few years ago and haven't seen them in stock this year. Armed with my chocolate Moccona, I hit the office early and detangled the lights in less time than I feared it would take. Then we did a bit of furniture climbing and draped the lights across the windows and over a series of hooks engineering had thoughtfully drilled into the walls. I'm not sure if they intended them to be used for Christmas lights but I'd like to thank them all the same. I know the lights look strange lit up in broad daylight but they've made all of us smile whenever we look up from our desks. I brought in our silver tinsel as well but we couldn't make it work on the walls (engineering haven't put enough hooks into the non window wall of the office, you see). I might wear a strand to the department lunch in a fortnight instead. My silver tree is on top of the mini fridge surrounded by tea bags, instant coffee, brown caster sugar (none of which are standard issue office catering branded, we're proud to say) and a jar of Lindor balls. We're a self catering office and if you need a drink or chocolate whilst you're working, you may as well do it in style. In other Christmas news, I'm happy to confirm that the cherry season has commenced and it is Good. Very Good. 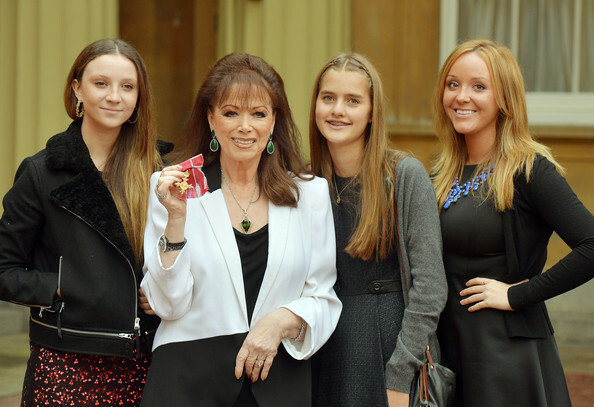 I've been a Jackie Collins fan for a very long time and the pictures of her receiving her OBE from the Queen this week made me smile. In an interview, Jackie admitted to being curious about what the Queen would say to her about her writing. It turned out to be a very decorous conversation, apparently. Jackie's sister Joan was also at Buckingham Palace for the ceremony. Jackie's a grandmother too! I have this image of the seemingly ageless (in a nice way) Collins sisters in my mind and it has never included their children or grandchildren. It's lovely seeing family photos like this, though. It's inspiring to have achieved so much in your chosen field and have your family share it with you. Enjoy the rest of your day, it's stunning in Sydney right now. Love the decorations. Offices need a cheer up! With all the Christmas decorations it gives everyone a smile. Love it!